Probiotics have been in human health news for a while now, but have you considered them for your dog or cat? 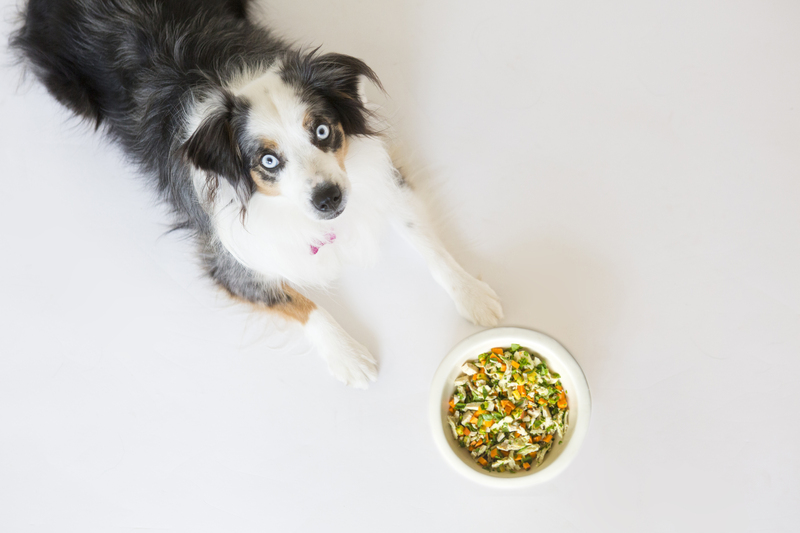 We consulted our friends at NomNomNow, a fresh pet food company, to find out the details on this “good” bacteria and how it can help our pets. You can find their original article here. Probiotics are formulas that contain living microorganisms, usually bacteria (but sometimes others, such as yeast), that are consumed to improve health. The goal of ingesting probiotic substances is to balance the gut microbiota after it has been disrupted by illness, antibiotic treatment, or other causes. However, daily use of probiotics can also be used to maintain a healthy gut and prevent gastrointestinal issues. Most probiotic organisms are lactic-acid bacteria, which means they break down sugars into lactic acid. It is thought that these species colonize the intestine during early life and allow other symbiotic bacteria to take residence as an individual grows into adulthood. Scientists are currently exploring the use of probiotics to treat gastrointestinal conditions such as diarrhea, inflammatory bowel disease, and lactose-intolerance (in humans). The underlying idea is to introduce bacterial strains that can compete with those that are overgrown and contributing to health issues. Bacteria can contend with each other in a variety of ways, including competition for nutrients and thwarting the growth of rival species. Results include less GI symptoms and a balanced microbiota, where disruptive strains are reduced to normal levels. Humans can find probiotics in foods like yogurts and cheese in addition to dietary supplements while probiotics for dogs and cats are typically sold in the form of pills or powders that can be added to their food. What bacteria are in probiotics? 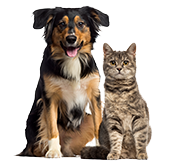 The most common bacteria used in dog and cat probiotics are Lactobacillus, a genus of lactic-acid bacteria that includes regular inhabitants of the gastrointestinal tract. Some Lactobacilli strains are thought to improve health by preventing the colonization of pathogenic bacteria, including Clostridium species. They are also able to survive acidic conditions, such as those in the stomach, so they can easily move from the mouth to the gastrointestinal tract without being destroyed. Other strains often found in probiotic formulas belong to the genera Enterococcus and Bifidobacterium. Some species of the latter have been associated with the early colonization of the infant gut microbiome in mice and humans. Examples of bacterial species used in pet probiotic formulas are Enterococcus faecium, Lactobacillus acidophilus, and Bifidobacterium animalis. Lactobacilli have also been used for centuries in the production of fermented foods (think cheese and yogurt) and are important for digestion of lactose and some essential vitamins. Since probiotic use in pets is still a growing area of study, the exact role each individual strain plays in improving intestinal health is not fully understood. However, these bacterial species are often isolated from healthy animals. How can probiotics be enhanced? Research has shown that many probiotic strains of bacteria are able to establish themselves in the gastrointestinal tract, alter the compositions of gut microbes and metabolites, and modulate host immunity – all key traits for colonization of the gut and changing the composition of the microbiome. Nonetheless, some studies have found positive effects in the absence of these traits. Two other components can be used in conjunction with probiotics in an effort to increase these traits, called prebiotics and synbiotics. Prebiotics are a combination of molecules that help promote the growth of beneficial gut bacteria that are included in probiotics. A couple common examples are types of fiber, such as inulin, and sugar molecules called fructo-oligosaccharides (FOS). These nutrients are digested by bacteria like Lactobacillior Enterococcus and act to give these species a competitive advantage over others currently inhabiting the gut. Synbiotics are a combination of prebiotics and probiotics. They contain both live bacteria and the necessary components to promote their growth in the body. The objective is that as bacteria are introduced into the intestinal tract, the required nutrients are presented simultaneously to increase their odds of successful colonization. A previous study demonstrated that a synbiotic decreased time to resolution of diarrhea symptoms in dogs compared to a placebo, indicating that synbiotics may help in recovery. However, this was not tested against the probiotic alone and requires further study. How do probiotics influence health? Probiotics have been widely tested for their effects on health. While it is clear is that some do have health benefits, we still do not completely understand how this is achieved. Furthermore, there are differences between studies regarding their direct impact on well-being. Nevertheless, probiotics have been shown to successfully treat acute gastroenteritis, irritable bowel syndrome, and have been known to prevent allergies. Their use may also reduce the recovery time following acute diarrhea. How might probiotics support health in our pets? One possibility is by outcompeting pathogenic microbes for food or colonization sites. It might also be through stimulating their host’s immune system to decrease inflammation in the gut or help recognize invaders. Probiotics could further change the metabolism of other bacteria or produce antimicrobial substances that kill their competitors. Future research will help outline the mechanisms and better dictate how probiotics should be used to improve intestinal health in our cats and dogs. This content was made possible by NomNomNow. Founded in 2015, NomNomNow seeks a natural approach to a dog’s diet. They developed a company that analyzes a pet parent’s needs, creates a unique health profile for their dog, and then cooks, custom-packages and ships meals every week. Find out more at NomNomNow.com.